Boaters from around the world appreciate a boat with quality craftsmanship, innovative design technological amenities and features. The boating community in Florida is very unique because of all the different things to do on a boat. This state features multiple bodies of water that are distinctive. Each body of water has its own characteristics that make it perfect for certain boating activities. With so many rivers, lakes, streams and swamps, Florida is great for freshwater fishing. In places like the Everglades, Florida boaters can observe a very special natural environment through fishing or just observation. Florida is also excellent for saltwater fishing. Florida is a peninsula, meaning it is surrounding by water on three sides. The Gulf of Mexico is on the west, the Atlantic Ocean is on the east, and the Straits of Florida and the Caribbean Sea lies to the south. Several bays and waterways, both artificial and natural, help to broaden the boating and fishing possibilities in this state. When it comes to fishing, Florida boasts some of the best areas and species. Some of the most popular Florida fish include: Grouper, Bonefish, Snapper, Sailfish and Grunts. Crab and lobsters are also plentiful during the appropriate season. Avid fishermen just need to handle two things: getting their fishing license and having the right boat. Finding the right boat for your needs doesn’t have to be a hassle. Boats for shallow or deepwater fishing, fresh or saltwater fishing, or boats just for cruising on the lake or bay can be found at Marine Connection. Marine Connection knows how you feel about fishing and boating because they have been in the business of providing Floridians with superior new and used boats. For more than twenty years, Marine Connection has been able to match eager fishermen and women with quality boats for different uses. By offering boats from manufacturers like Bayliner, Donzi, Formula, Sea Ray and Mako, you are sure to find what you are looking for. 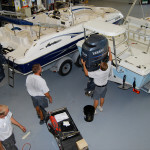 The best part about shopping for a boat at Marine Connection is having the assurance that all available boats have been inspected and water tested. Every boat in the showroom has been thoroughly reviewed and appraised based on physical condition, hours, features, specifications and market conditions. 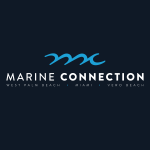 Centrally located in West Palm Beach, Marine Connection is easily accessible to people from all over the state. If you are traveling from other states or countries, you may fly in to the local airport. You may want to search for boats in the Marine Connection inventory before you travel to West Palm Beach. You can easily do so online. 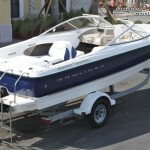 Buying a boat can be very affordable. Boats in the Marine Connection inventory start at a little over $10,000. You can also trade in your camper, motorcycle, car, truck or other toy. If you need financing, Marine Connection has access to different programs and lenders that can give you a great rate depending on the amount you need financed and your credit history. 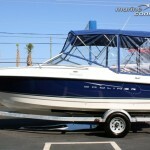 Visit www.marineconnection.com today to view their inventory.